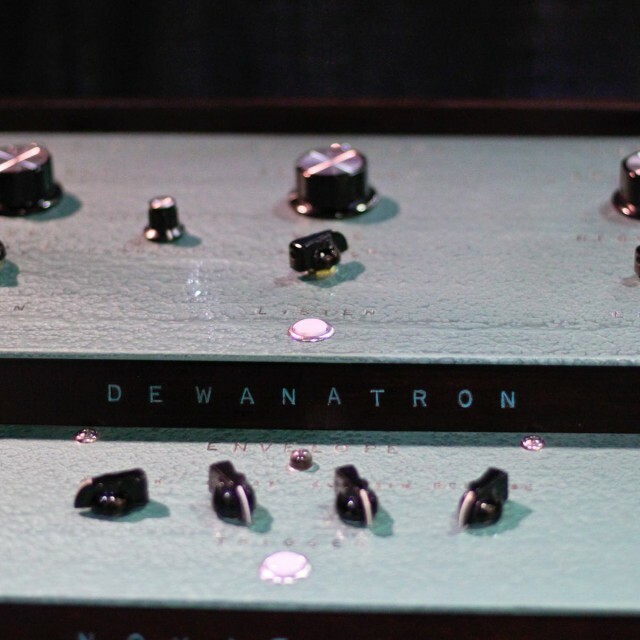 Dewanatron’s Brian and Leon were on-hand with their unique inventions. Photos by Marsha Vdovin for CDM. For the lover of musical instruments and technology, southern California’s NAMM show is a giant toy shop. It’s work for many of its attendees, of course, but we know many of our readers dream of the objects that will make their next creations. And sure, inspiring lust is not our aim; on the contrary, there is some love that goes into these things. In the ideal, that’s the relationship of creator and consumer. These are things not to be bought and discarded, but kept and really used. So, we have a different look at the NAMM show, through the lens of CDM contributor Marsha Vdovin, who has been at this show more times than she might like to count. I’ve added some comments about what these devices are and why they’re important. And the next time we see them, these inventions pictured in silence here, we expect them to be working hard on music far from the din and flourescent glare of the trade show floor. 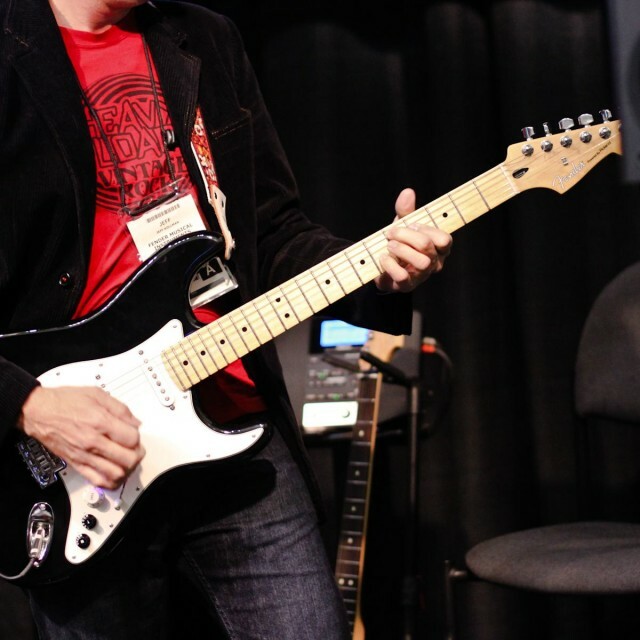 Roland’s V-Guitar marks a surprising collaboration, bringing the famed American guitar maker Fender together with the Japanese electronic maker to make an “electronic guitar,” merging the two company’s tech on a digitally-augmented Stratocaster. More on this soon – but the extended playing techniques won over many guitarists. 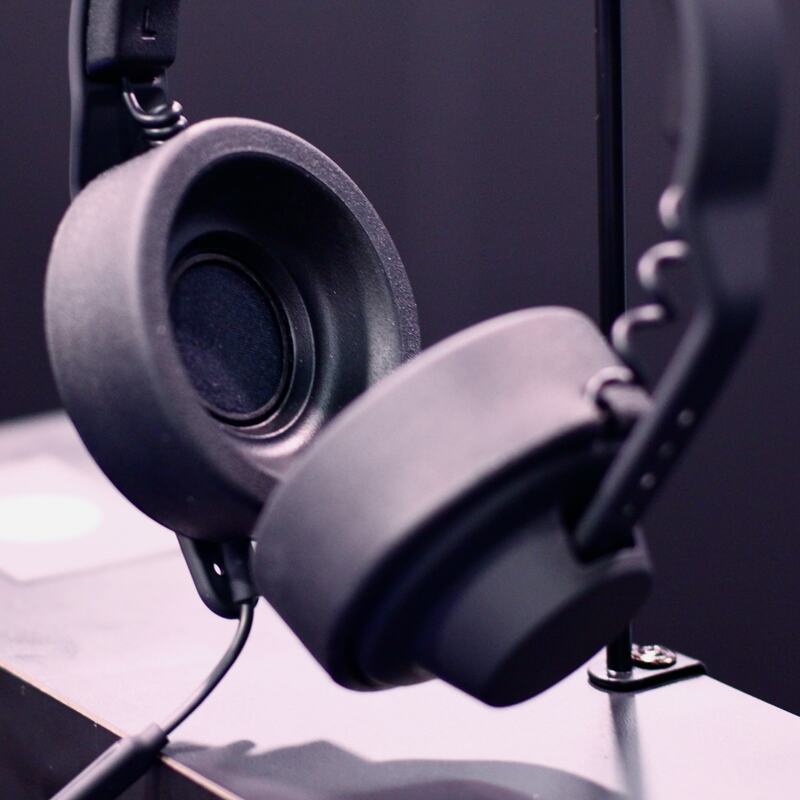 The Danish design aesthetes of AIAIAI have improved upon their TMA-1 headphones with a studio model. Same drivers, same basic design, but a “flatter” response to sound (rather than beefed-up, DJ-ready bass) and closed ear design. It’s impossible to hear anything at NAMM, but I can attest that the new design is far, far more comfy to wear. Actually, if I could have kept these on the whole show to drown out the sound, it would have been great. An easy place to spot a talented celebrity was at the Dave Smith Instruments booth, at which artists clustered around Dave and Roger Linn. 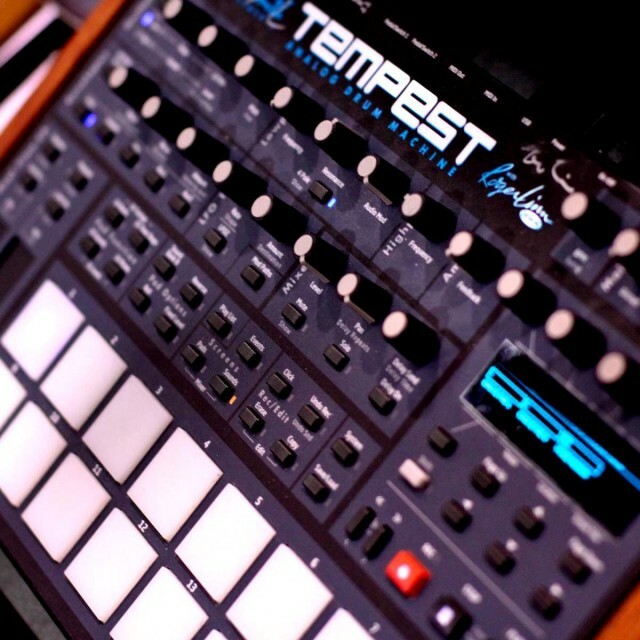 They were on-hand with plenty of tweaks to their stellar Tempest drum machine. 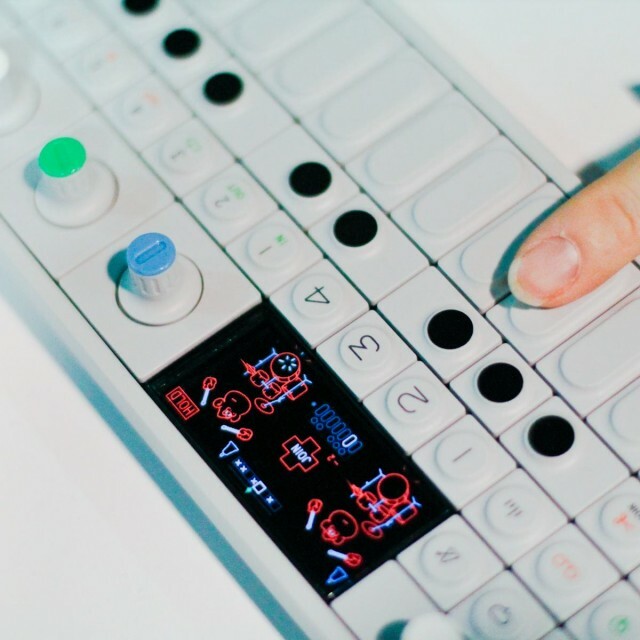 Teenage Engineering’s OP-1 grew up, with new features (drum sounds! MIDI sync – at last), and grew out, with a companion product for connecting sensors and USB host mode that could be a boutique item for music DIYers. We’ll go hands-on with each this year, and while readers were disappointed on a lack of some details (will the OpLab be open source? ), we expect to get more details from the Teenagers when the product is ready in the coming months. 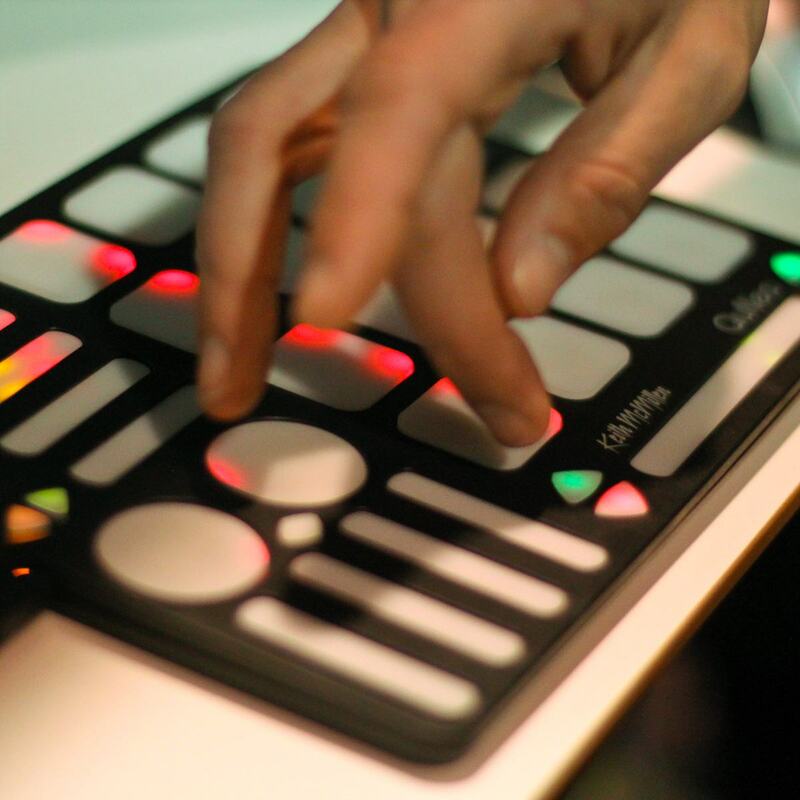 Thin, responsive, and expressive, the QuNeo from Keith McMillen – funded on Kickstarter – proves it’s really happening. With continuous pressure response on its touch controls and bi-directional control, it could be the most anyone will ever have gotten from a US$200 controller. Yes, we’ll be watching. Pioneer wasn’t showing anything new at this show — they timed those launches over the fall with new controllers like the Ergo. But they did have a glossly all-white lacquer set of limited-edition devices that looked absurdly gorgeous. 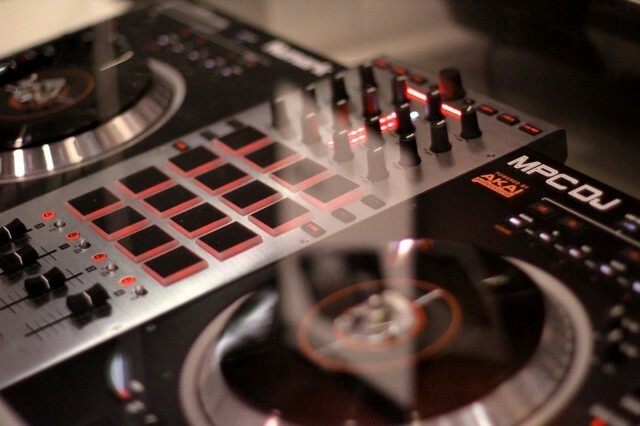 Now if I want to do my flat over in the style of a Stanley Kubrick set, I know what DJ gear I’ll be buying. (If you don’t know what I mean, watch the end of 2001 again – or the living room in Tron: Legacy, which is more or less a copy.) White is the new generic-dull-charcoal. 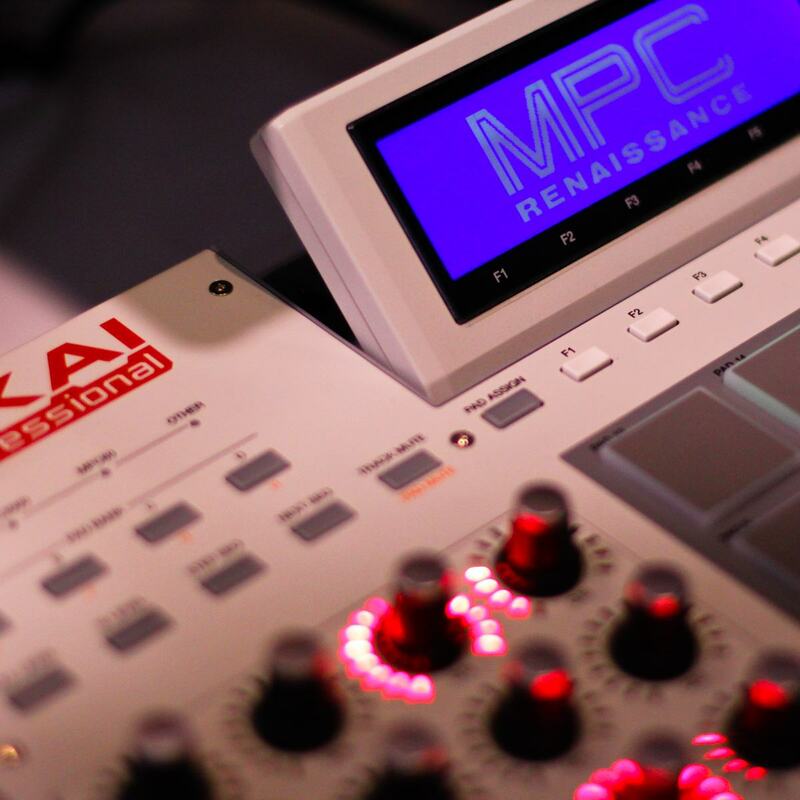 Akai’s MPC Renaissance is unlike any other mass-market controller we’ve seen. It’s actually substantial, something that feels like a vintage MPC even though it’s designed to work with software (pictured). 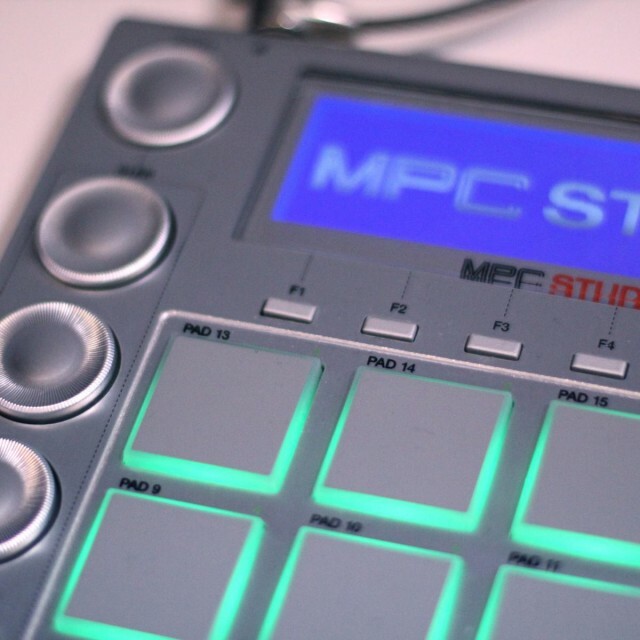 The audio circuitry is straight out of the modern MPC, but there’s a switch for “vintage” modes – think 12-bit output when the MPC60 is enabled, for instance. Akai told CDM they built the software in-house, but we also learned at NAMM that they licensed time-stretch tech from iZotope, giving their upcoming MPC software generous audio-manipulation abilities. The Renaissance will cost you, with a street expected well over a grand, but that makes it even more welcome that the same superb pads and response curves are also on the maker’s MAX49 keyboard and cheaper MPC Model. Just expect to wait: these were prototypes, and there were still some bugs to work out. 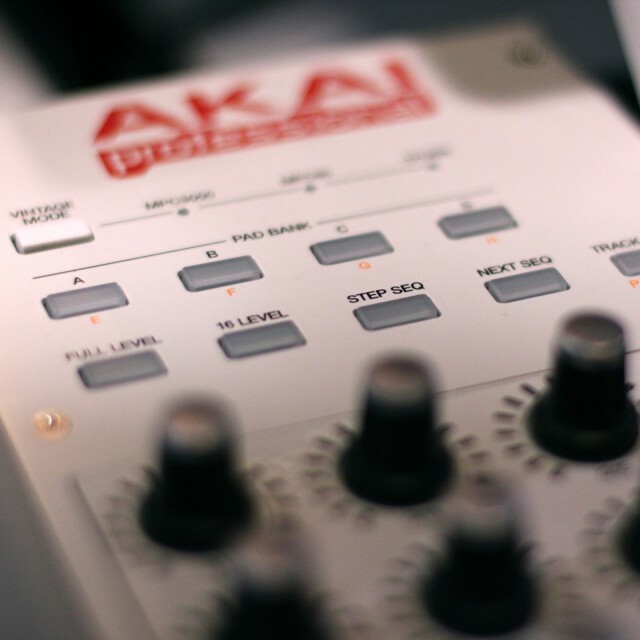 Akai’s MAX49 keyboard could be a new model to beat. The keyboard action is satisfyingly springy, with a new keybed not seen in previous models. 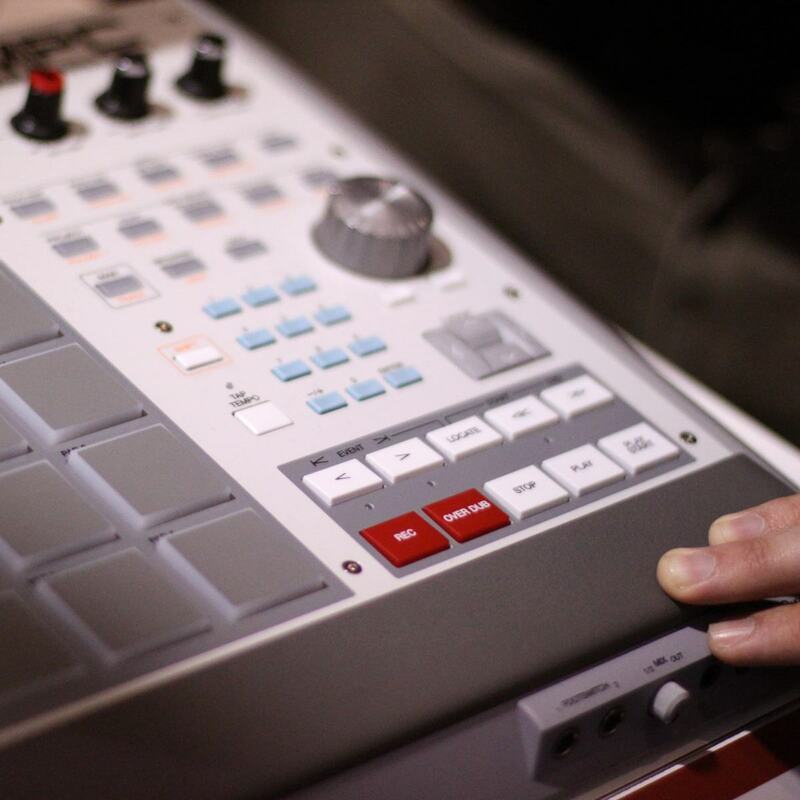 The pads are identical to those on the Renaissance, and feel more the way proper MPC pads should. Not everyone will love the light-up, touch-sensitive resistive faders, but I found with a bit of pressure, they worked well – and that means never having to worry about a fader catching up with the value in software. 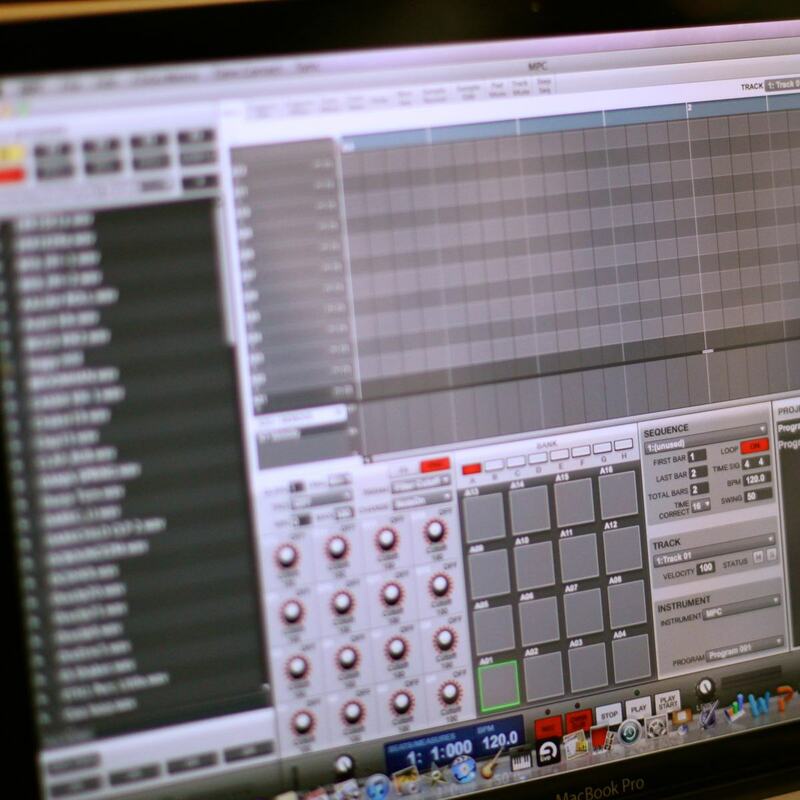 You also get serious features: Control Voltage, a full complement of MIDI ports, and aftertouch. Did I mention Control Voltage? It’s nice to see a controller keyboard with a slightly premium price, build, and features. 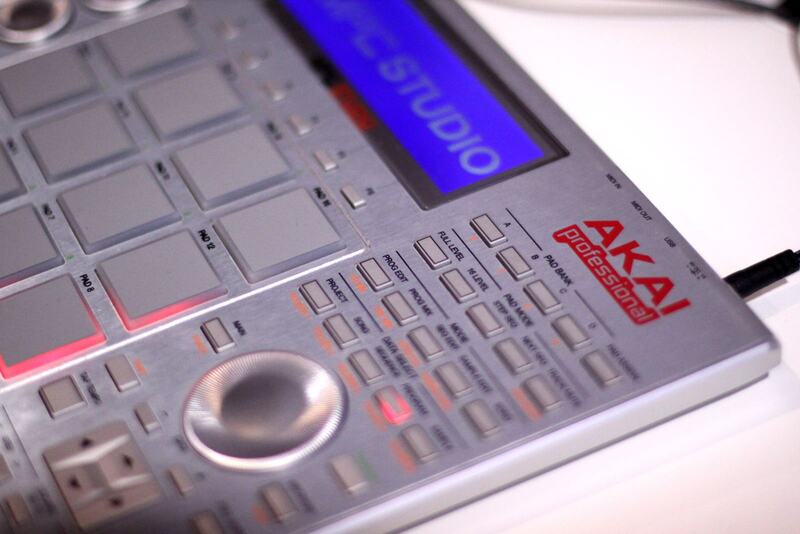 The last surprise from Akai was this MPC DJ. 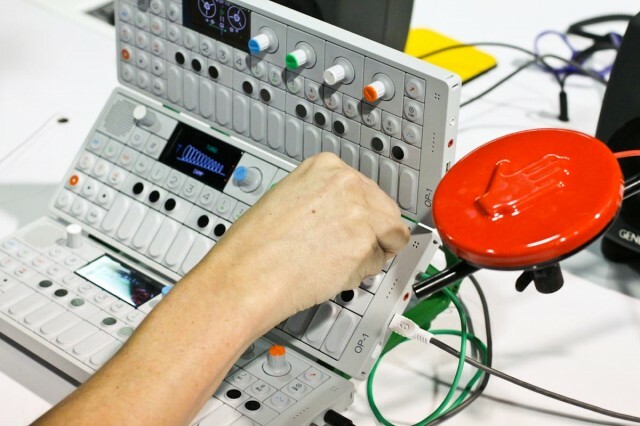 The company says it’s a prototype only, and had little more to say about it, but it’s fascinating to see the MPC and turntable controls converge. 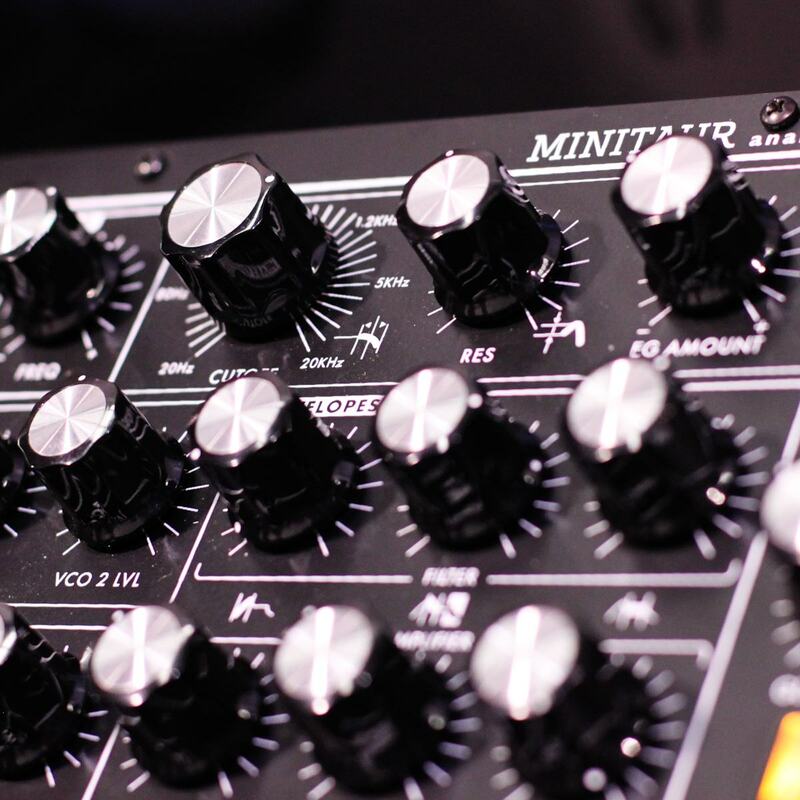 Moog’s Minitaur was my favorite synth of the show. 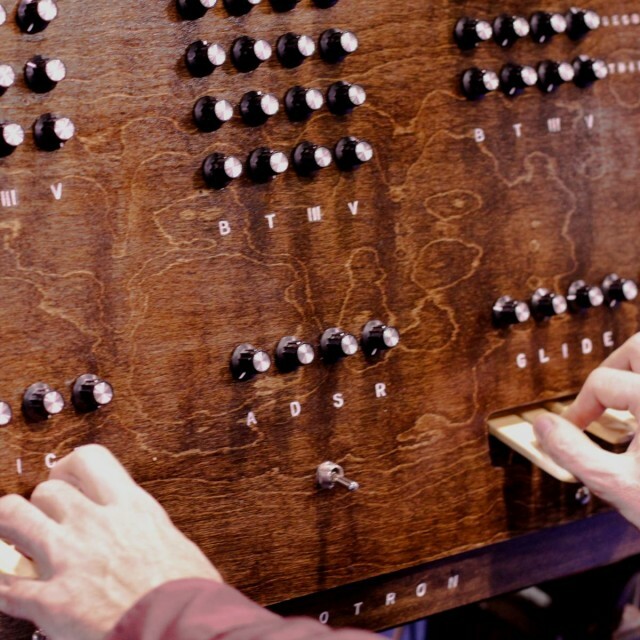 It just sounds consistently brilliant, no matter which way you turn it or play it – and I accordingly noticed it was the synth the most people were actually playing on the show floor. 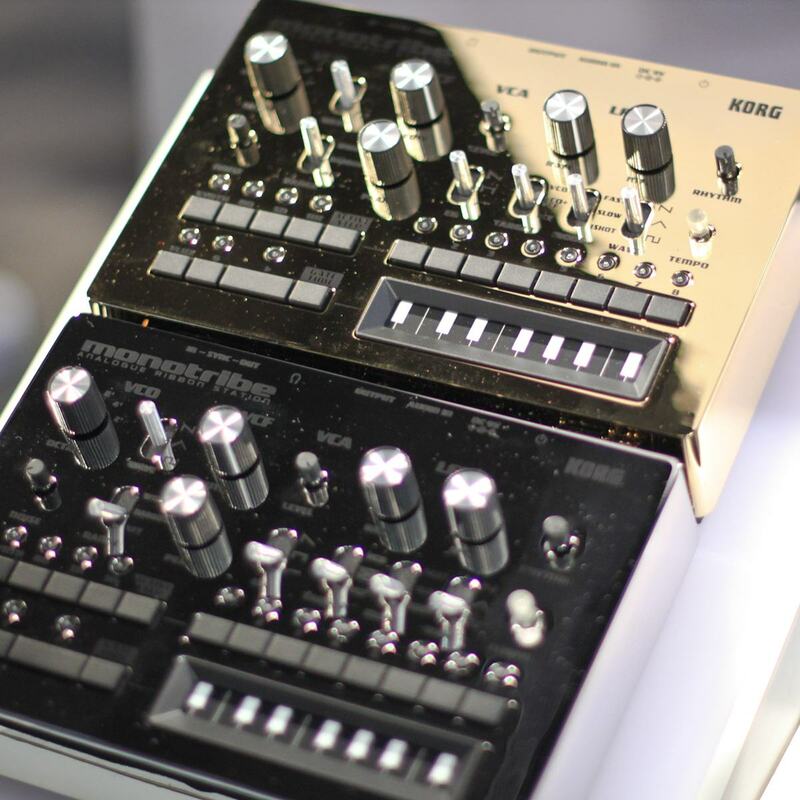 This is what a 24-karet KORG MonoTribe looks like, alongside a silver-plated model. There’s little more one can say. It is, of course, one of a kind — and already spoken for. 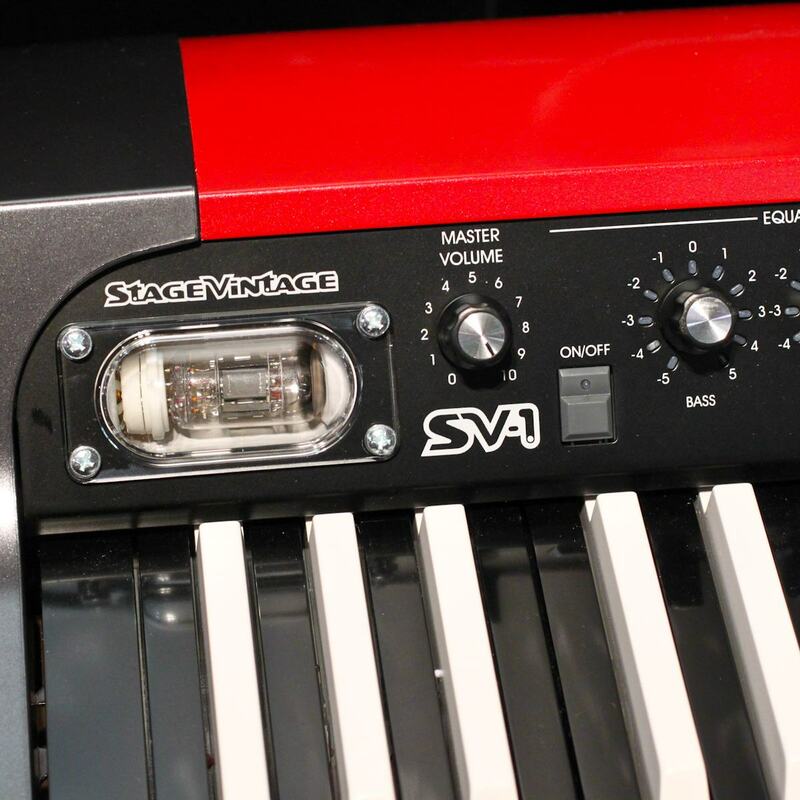 The other thing of beauty at the KORG booth: a limited-edition reverse-key SV-1 keyboard. iOS accessories were numerous, but a few were genuinely useful. 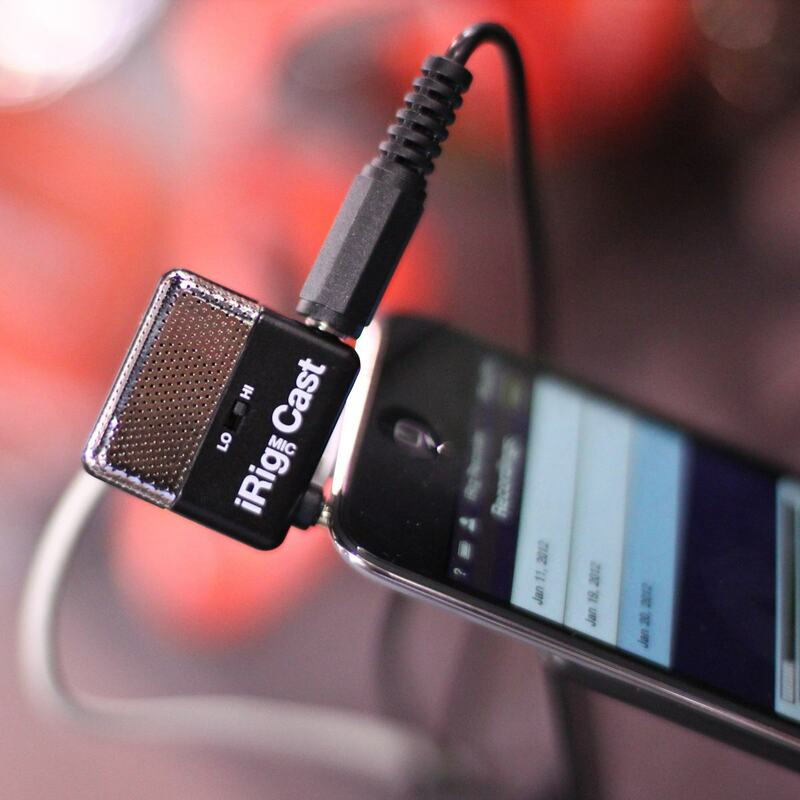 IK Multimedia’s iRig Mic “Cast,” for instance, is coupled with handy software for podcasters, as a quick tool for interviewing or podcast recording. 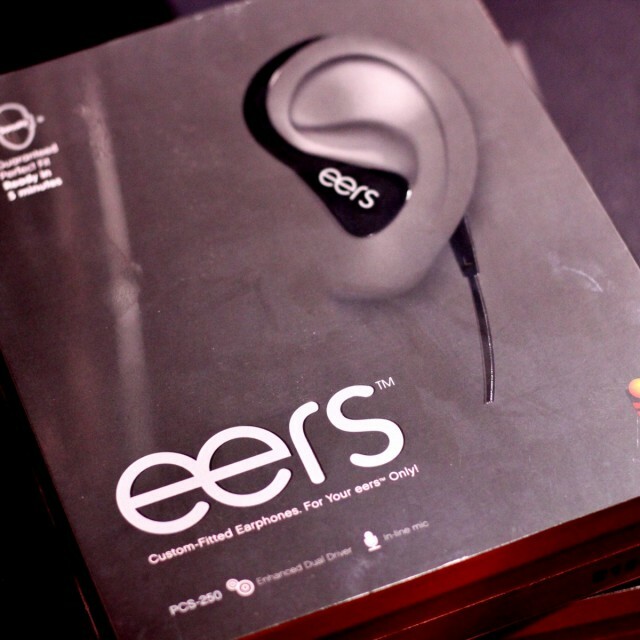 It’s not a new product, but one of the reviews to which I’m most looking forward is this Eers product. It promises custom in-ears you make yourself, rather than the enormous cost of getting them custom-made. 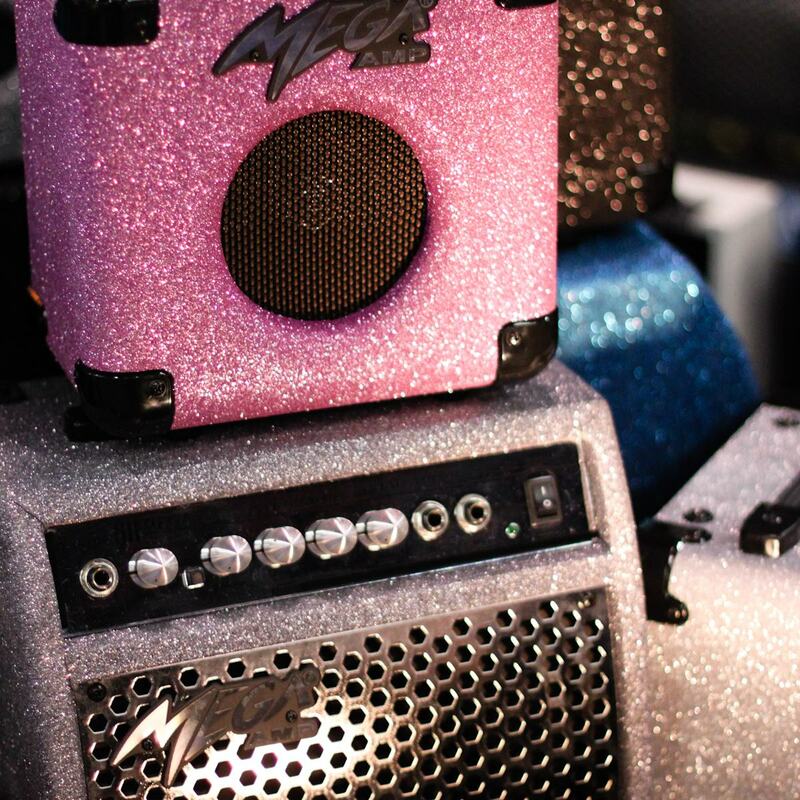 Stay tuned on this one – protecting your hearing and making on-stage gigs go well is perhaps as essential as gear can get. The just-intonation Hymnatron from the Dewanatron crew was one of the most compositionally-compelling instruments at the show, with a unique sound, tuning, and key layout. And it looks mighty handsome in this one-off wooden case. 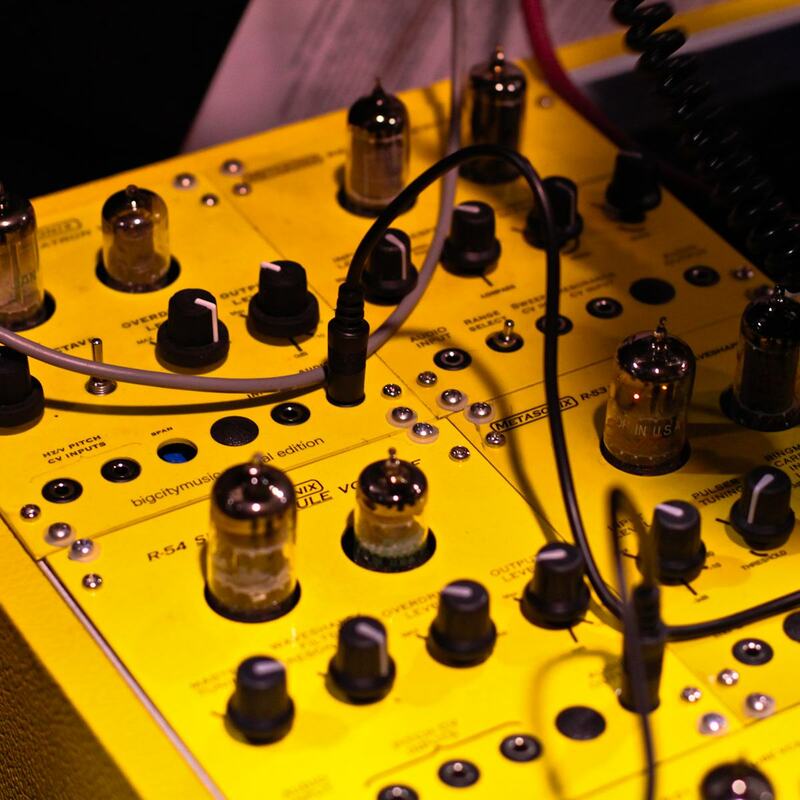 LiveWire’s modular was among the many dreamy modular rigs at Big City Music and Analog Haven, two Los Angeles hotspots for analog modulars. Did we mention space was more plentiful and inexpensive, and gigs more generous, in LA than in NYC, Chicago, or San Francisco? Funny coincidence, that. 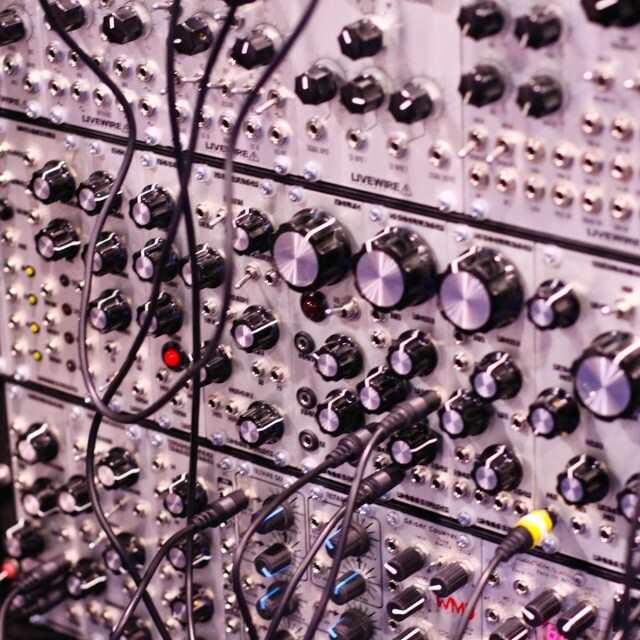 Many modules graced this show, but the most intriguing was not analog, but digital – think digital algorithms in an analog, patch-cord-modular hardware workflow. Tom Erbe, maker of long-beloved SoundHack (the app, and then more recently the plug-ins) put some of his sonic wizardry into a module, collaborating with one of our favorite modular builders, MakeNoise. The result: the MakeNoise Echofon. As such, it’s a perfect emblem of our Create Digital Music, Create Analog Music philosophy. Dear Berlin friends: let’s plug this into your monster modulars, okay? Big City Music is a wonderful place. 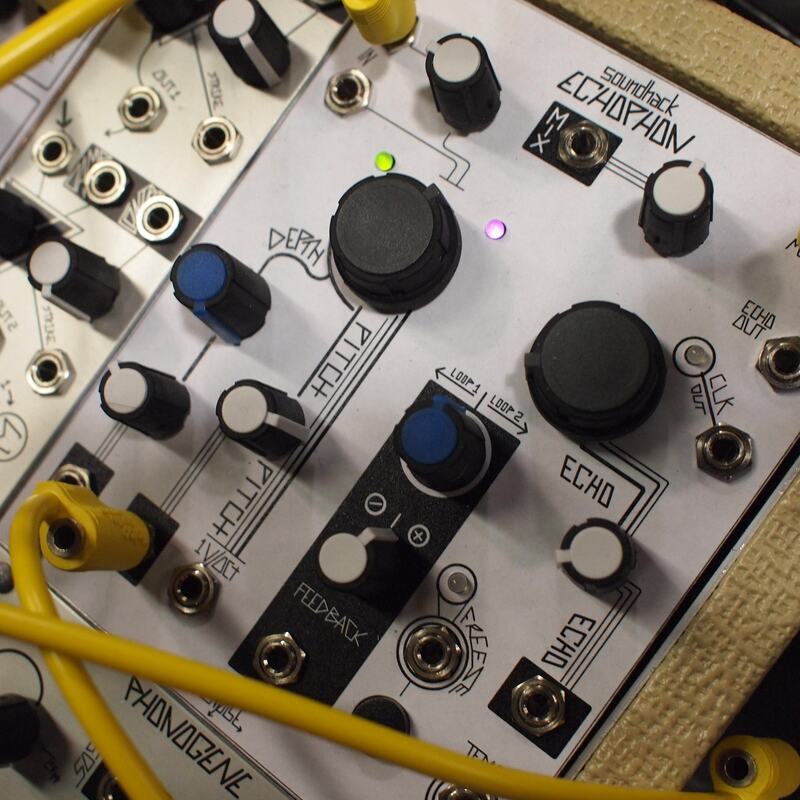 The other candidate for best new module: brilliant creations by Metasonix, as previewed here. We’ll be watching for these to be patch-able, too. 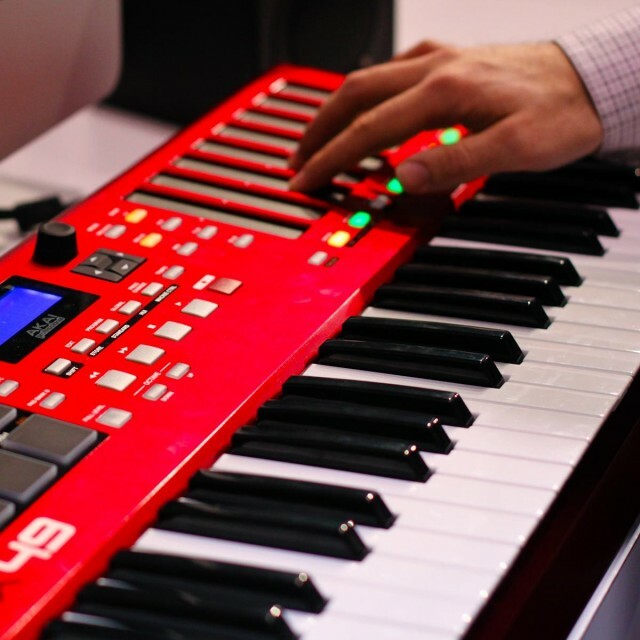 Casio had its classic CZ-1000 synth on-hand at its booth. 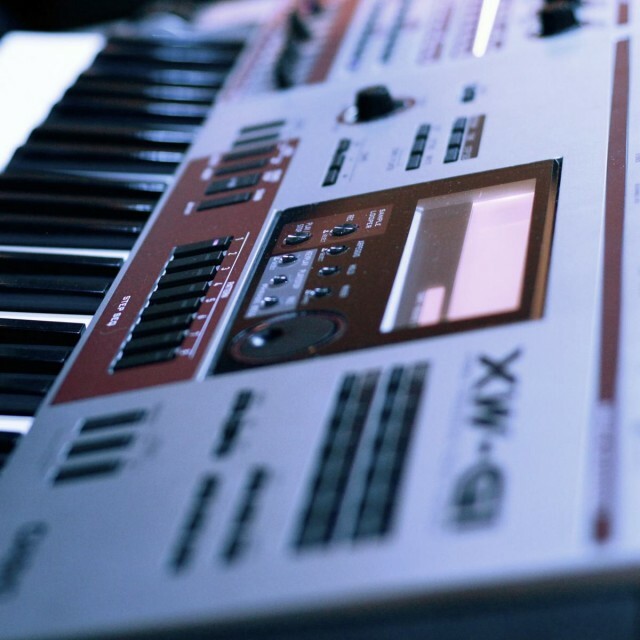 The Casio XW isn’t quite a successor to the CZ, though it does include some of those waveforms and phase distortion sounds. What it does appear to be is a very affordable, do-just-about-everything workstation at a fraction of the price of any of its rivals. 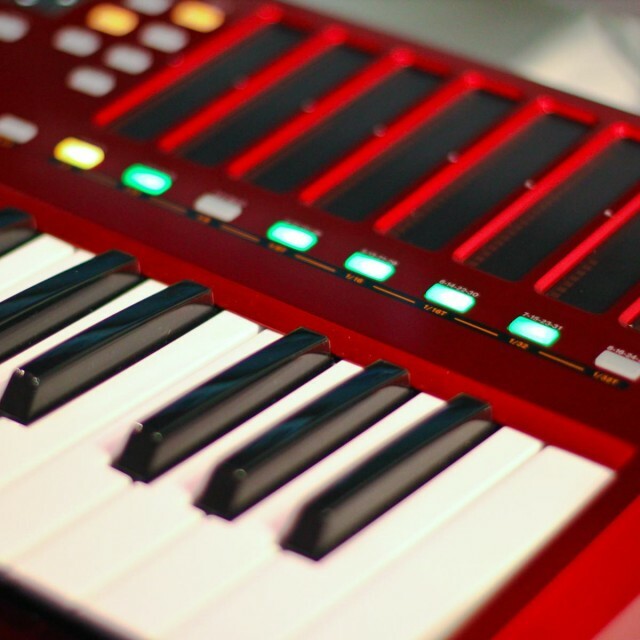 For someone who wants a jack-of-all-trades gigging keyboard, this could very much be a contender. Our friends at Beatport are evidently getting into the hardware business. The most interesting launch wasn’t a set of TMA headphones with Slimer-green cords (I’ll take the Studio model, thanks, or just a non-Danish set of studio cans). 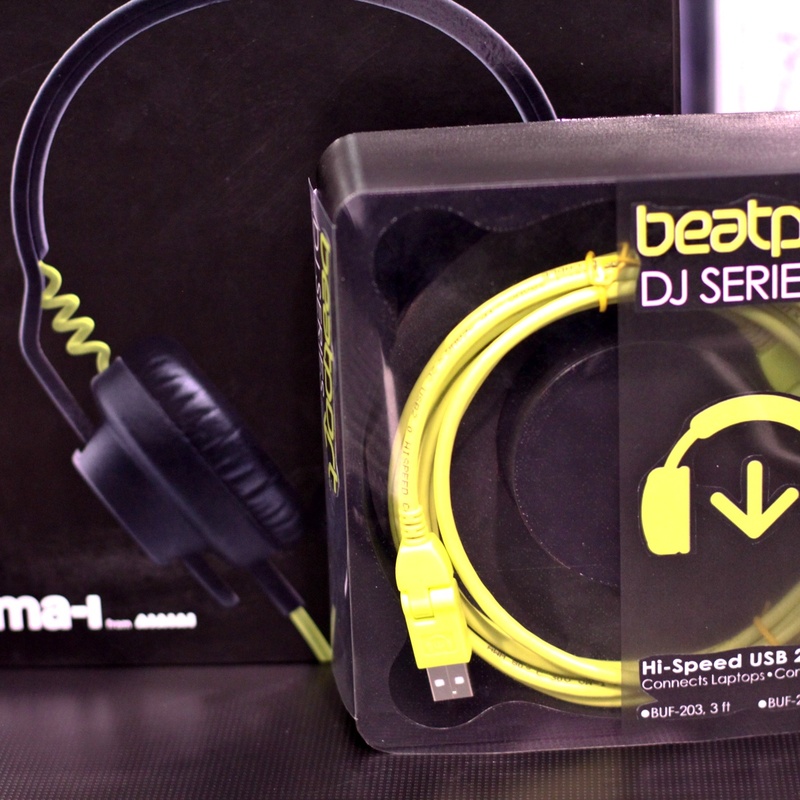 Instead, I was intrigued by the eminently-practical line of gigging cords Beatport is working on with Hosa. 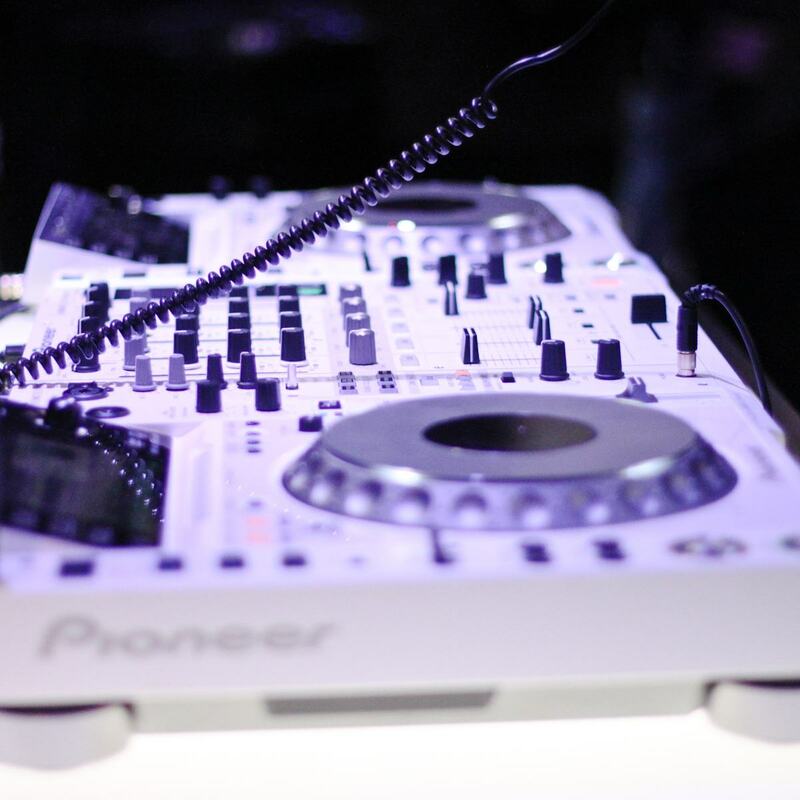 They include features live digital musicians and DJs badly need, like color-coded cords you can find easily at a show, and hinged USB cords you can cram into tight spaces. More on those soon. Thanks, all. Lastly, I want to thank everyone I got to spend time with at the NAMM show, and particularly Marsha Vdovin, who is responsible for these photos and keeping our schedule together. NAMM is always too crowded and too short, but it can lay groundwork for a whole year. And I’m excited for this Year of the Dragon. Be seeing you. Photos by Marsha Vdovin / Words by Peter Kirn.